California law under penal code 466 pc prohibits anyone from possessing certain tools that experience by law enforcement has shown to be instruments routinely used by thieves for breaking into a car, home or other structure. It is not illegal to possess these tools so long as there is no evidence, or not enough evidence, to show criminal intent. Penal Code 466 lists over 15 kinds of tools that are commonly used in illegally gaining entry or access to a car or structure1. Are There Any Other Tools That Are Considered Burglary Tools? This list is not exhaustive but the code does provide that any other tool or instrument that can achieve unauthorized entry be considered a burglary tool. Many tools that a handyman or hobbyist might have in a garage or workshop fit these descriptions but a burglar may possess some or all of these or have altered or attempted to alter or make any of these tools. Mere possession has to be coupled with felonious or criminal intent to be convicted under California Penal Code 466. Burglary is found in PC 459 and is defined as entering a building or car with the intent to commit a felony or petty theft once you gain entry. If a person is found in a car or building without the consent of the owner and is in possession of any of these tools, then intent to commit a burglary or other crime may be inferred. You can be stopped in your car for violating a traffic ordinance and if the officer sees these tools in plain view or has probable cause to search your car and finds them, it will at least offer some suspicion. But evidence of your criminal intent can be strengthened if the officer also finds ski masks, binoculars, a blueprint of a building, various keys, plastic beer wrap containers (for restraint), masking tape and dark clothing. 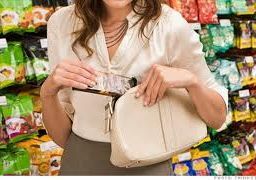 These other items are typically used to surreptitiously approach a car or building, to know where to go after gaining entry and to restrain anyone who is unfortunate enough to be present. Another illustration of criminal intent is one where officers observe a young man on a hot summer night wearing a hood, dark clothing and carrying box cutters, picklock, gloves, a rock and wire looking into homes or cars and attempting to open a window or garage or who is tapping on a house or car window with the rock. But if the man is found just walking on the sidewalk with the cutters, then more evidence would probably be needed to show criminal intent. Can You Be Convicted Of PC 466 Based On Circumstantial Evidence? Many convictions under PC 466 are based on circumstantial evidence that the defendant possessed these tools with the intent to effectuate illegal entry. Circumstantial evidence is not direct evidence of a crime but is an inference or series of them that lead to a certain reasonable conclusion. 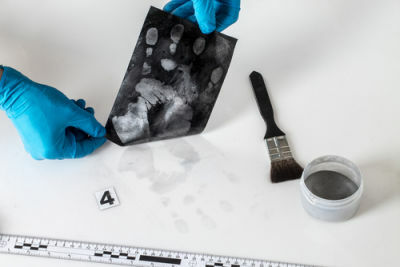 This includes fingerprints found on a firearm used to commit robbery, gunshot residue found on a suspected shooter’s hand or damage to an alleged hit and run suspect’s car that infers it was in an accident and that it hit the victim’s motor vehicle. The law makes no distinction between direct and circumstantial evidence for the trier of fact to consider. Many defendants are charged with both possession of burglary tools and burglary. 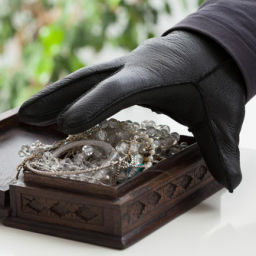 Burglary is categorized as first or second degree and can be a misdemeanor or a felony. If you are convicted of both, a court will typically sentence you on the burglary charge and stay the Penal Code 466 conviction. There are defenses that can be used to challenge the sufficiency of the evidence or to show lack of intent to commit a burglary. The tools are not listed under PC 466 and are not commonly used to gain entry into a building or car. These items may be used as common household accessories or for innocent activities and include masking tape, binoculars or cell phones. Lack of criminal intent. Merely possessing any of the tools is not sufficient to prove intent. If you did have any of the other accessories that could be used for surveillance, lookout, to restrain people or to show the layout of a building, then criminal intent can be inferred. You have no criminal history. Violation of search and seizure laws. Law enforcement must either have your consent to search you or your car, possess a search warrant, observe these tools in plain view or have probable cause to search you such as incident to an arrest. Police do perform searches without your consent, overreach the scope of a search warrant or unlawfully arrest or detain you. 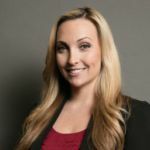 Although a misdemeanor conviction under Penal Code 466 PC does not normally present the same obstacles or restrictions on civil liberties, job seeking and housing, it can still be a deciding factor in whether you get hired, promoted or obtain a lease. An expungement is a record clearing process. It does not destroy your court records and it does remain on the FBI and other databases but is not for accessible to the general public. Its main benefit is that no member of the general public, including private employers and landlords, girlfriends, boyfriends or anyone other than law enforcement or government agencies will see that you were ever convicted of the offense. You can apply for expungement the day after your probation ends. There is an exception in cases where no probation was imposed so that you must wait one year from the date of your conviction. There are numerous other offenses relating to PC 466 pertaining to the tools identified in this code section. These tools are of course intended to be used to gain entry, legally or not, into buildings or cars. If you sell or give away or allow someone to borrow any of these items, the law requires you to retain a receipt of the transaction for one year. The writing must contain the name and address or phone number of the person to whom the items were given or sold and that person’s signature. Your failure to do so constitutes a misdemeanor and carries county jail time up to 6 months, a fine up to $1,000 or informal probation for one to three years under California Penal Code 466.12. 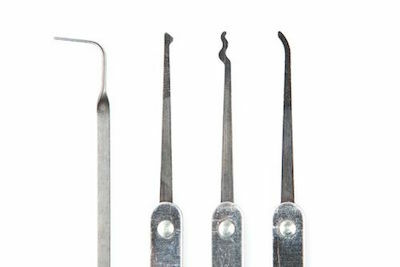 Under penal code 466.3 certain tools are used to open or tamper with vending machines, old pinball machines, coin-operated washing machines or parking meters so as to extricate the coins inside. Possession coupled with intent can get you convicted of this misdemeanor which carries up to one year in county jail, a fine to $1000 or probation of a year to 3 years3. Motor vehicle master keys or motor vehicle wheel lock master keys are legal to possess so long as you have no criminal intent while you are in possession. 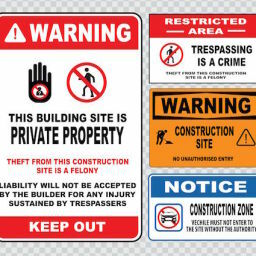 It is a crime to sell, advertise for sale or manufacture these items unless the buyer or user employs them for work. In other words, know the person to whom you are selling these keys or you could be convicted of a misdemeanor and 6 months in county jail and a fine up to $1000 under penal code 466.54. Motorcycles are much easier to steal than passenger cars because of their size and weight but even if they are too heavy, there are tools that can start the bikes without the normal keys. If you possess, sell, lend or give away a device that can bypass the normal ignition process and that can start the machine, then you have violated this code section. It also pertains to wire cutters, electrical tape, allen wrenches or other tools that can be used to steal the motorcycle, then possession or the lending of these items for that purpose is also a misdemeanor under this section. Penalties are no more than 6 months in jail and a fine of no more than $1000. You cannot possess the keys to someone else’s car without their consent so long as you also had the intent to steal the car or to break into it. It is a misdemeanor with punishment of up to 6 months in jail and a fine not exceeding $1000 under penal code 466.75. Although you can make, give away or sell a key for a home or business by a method involving an onsite inspection, you are required to keep a receipt containing the name and identifying information of the recipient of the key for 2 years along with that person’s signature. This section is inapplicable to the making of duplicate keys. Violation of this section is a misdemeanor with jail time not to exceed 6 months and a fine of up to $1000 under penal code 466.86. Under penal code 466.9, you are barred from using or even possessing a device that can disarm a car alarm if used or intended to be used to gain unlawful entry or to steal the vehicle. These devices capture the signal and play it back to disarm it. A violation is a misdemeanor7 with no more than 6 months in county jail and a fine up to $1000. Last updated on December 16, 2018 by Diana Aizman, Esq.